Our brain is the interface for communication between the inside of the body and the outer world. Appropriate function of the central nervous system (CNS) relies on a number of intra- and intercellular communication events during and after CNS development, and synaptic connectivity of neurons provides a basis for adequate intercellular communication. Synapse formation and removal are highly dynamic processes, which occur on a time scale of minutes. Disturbance of a single parameter of the intra- and intercellular communication system can already provoke CNS-associated diseases. For example, the appearance of neurofibrillary tangles, which arise from aberrant phosphorylation of a single microtubule-associated protein (MAP) tau, is associated with a number of neurodegenerative diseases, such as Alzheimer's disease. Protein kinases, thus, play a crucial role in regulating intra- and intercellular communication and thereby orchestrate the functionally appropriate assembly and maintenance of our brain. They evolved therefore as valuable therapeutic targets in the treatment of brain disorders. However, prior to the development of novel therapeutic agents, the molecular mechanisms of kinase actions and their integration into signaling pathways should be fully understood. 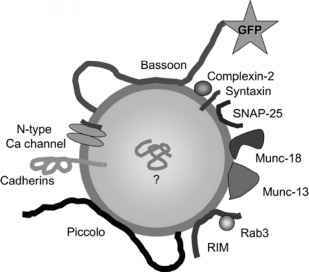 This chapter aims at providing an overview over the molecular mechanisms underlying protein kinase signaling in the context of synapse formation.